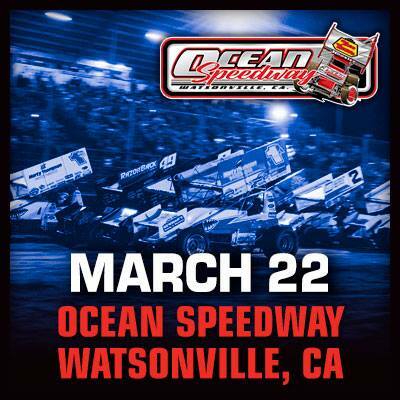 The World of Outlaws Sprint Car Series is back at Ocean Speedway in Watsonville, CA after a rainout last year! Don't iss the Ocean Outlaw Showdown! This event is a part of the Outlaws California Fire Relief Tour, where $1 of every ticket sold will go directly to the California fire relief.